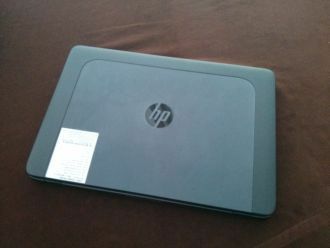 Apart from the 14-inch workstation ultrabook, HP also announced an expansion to its Z portfolio of professional workstation and display products. 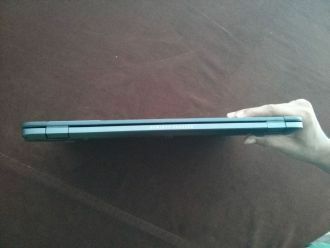 Some of them sport Intelâ€™s Thunderbolt port. Workstations are performance behemoths of the PC industry. 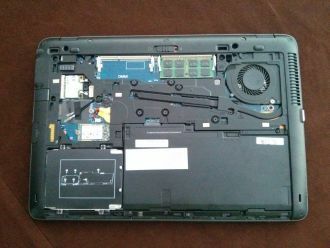 Their performance punches knock out off-the-shelf consumer desktops with ease, humiliate the fastest consumer laptops with a yawn, and they melt smartphones and tablets like cheese on their high-powered, performance-rich diet. 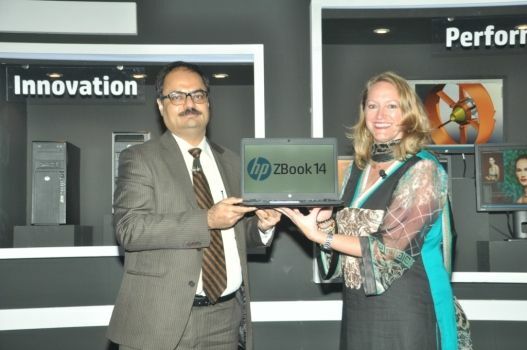 Workstations are in a different league altogether – and HP just launched some new ones in India yesterday. 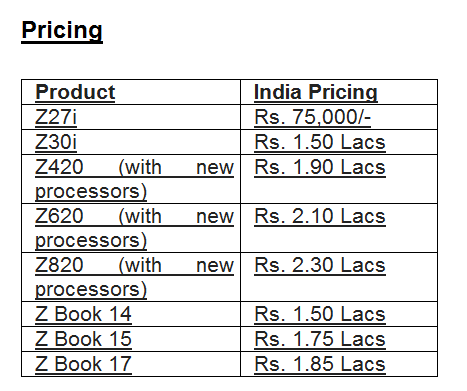 HP announced a revamp and expansion of its Z portfolio of workstations in India – which includes desktop workstations, mobile workstations and professional displays. 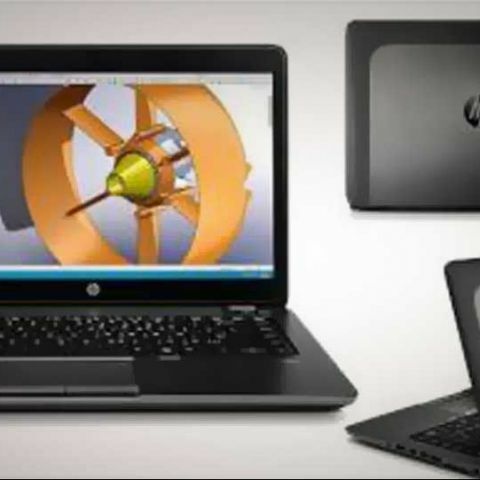 The new portfolio includes three new HP ZBook Mobile Workstations, processor and graphics enhancements to the award-winning line of HP Z Desktop Workstations, and two new HP Z Displays. 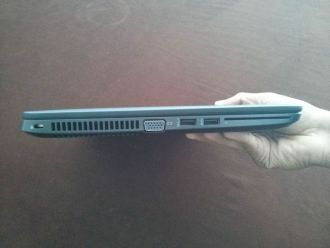 Of these, the HP ZBook 14 is hailed by the company to be the “world’s first” workstation ultrabook, sporting a slim 14-inch profile and an optional multi-touch enabled display. Scroll down further to read more about it and check out its detailed images. 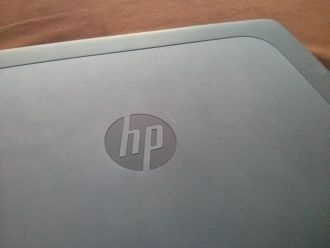 Before we dive into HP’s workstations, a short summary of the category. According to IDC, HP’s the market leader in the workstations segment – both in India and across the world. Anneliese Olson, Vice President, Personal Systems Category, HP Asia Pacific and Japan, mentioned at the launch event that the market for workstations “grew by 7 per cent”. And there’s plenty of growth potential in the Indian market – since workstations are ideal for professionals in engineering, CAD, architecture, design, animation, film, education, government and healthcare – hence HP’s flurry of brand new workstations for Indian customers. HP has introduced three new ZBook mobile workstations – the ZBook 17, ZBook 15 and the ZBook 14 (which is the ultrabook workstation we mentioned earlier). The new HP ZBook mobile workstations now features a new thinner and lighter industrial design and they’re designed for workstation-class professionals that demand mobility. These new HP ZBook mobile workstations feature Intel Haswell dual- and quad-core processor options and next-generation graphics technologies from NVIDIA and AMD, including the newly announced Keplar-based professional graphics from NVIDIA. 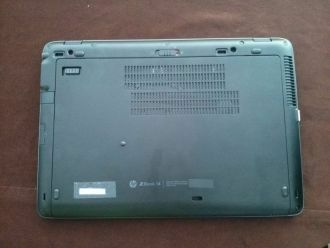 One thing we really liked on the HP ZBook mobile workstations was its tool-free chassis for easy upgrades and serviceability. 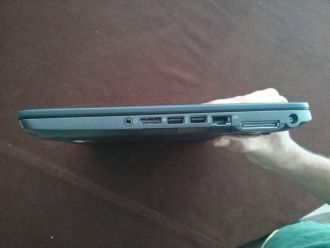 The HP ZBook 14 also comes with the option for a touch-enabled panel, making it a great choice for anyone who likes a hands-on experience. 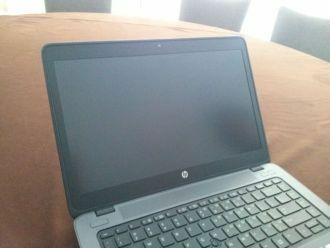 The HP ZBook 15 will include an option for a super-high-resolution QHD 3,200 x 1,800 display. 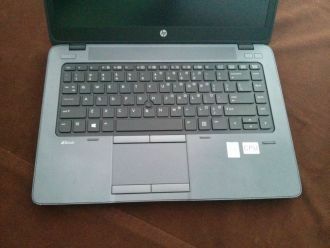 The HP ZBook 15 and 17 feature a Thunderbolt port, as well as an optional DreamColor Display panel that provides accurate and consistent color from the display to print and the big screen. All the existing HP Z desktop workstations – the HP Z420, Z620 and Z820 – have been updated to include the latest Intel Xeon E5-1600v2 and E5-2600v2 families of processors as well as new memory running 16 percent faster and 2nd generation Thunderbolt ports, according to the company’s report. The addition of Thunderbolt will accelerate creative projects with data transfer speeds four times faster than the bandwidth of USB 3.0, easily connecting multiple devices with just one single, compact Thunderbolt port. Apart from tool-free serviceability, the dual-socket HP Z820 Workstation offers up to 24 processing cores, up to 512 GB of ECC memory, up to 15 TB of high-speed storage, and up to two NVIDIA K6000 graphics. 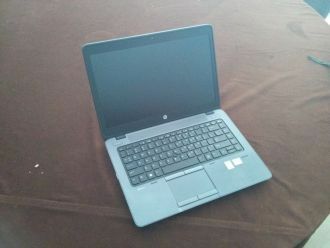 The HP Z620 Workstation packs computing and visualization power into a quiet, compact footprint. The HP Z620 is the company’s most versatile workstation, providing up to 24 discrete processing cores, up to 192 GB of ECC memory, up to 12 TB of high-speed storage, and up to NVIDIA K6000 or dual NVIDIA K5000 graphics for high-speed graphics performance. HP’s most popular workstation, the HP Z420, includes up to eight processing cores using the latest Intel Xeon processor E5-1600 v2 and E5-2600 v2 product families, providing up to 64 GB of ECC memory, up to 12 TB of high-speed storage, and NVIDIA Quadro K6000 or AMD W7000, or dual NVIDIA K2000 graphics. The enhanced HP Z420 Workstation provides new levels of performance and expandability in an accessible tool-free mini-tower form factor—and at a great price. Adding to the company’s line of professional displays, the new HP Z27i and Z30i IPS displays are aimed at designers, content creators and knowledge workers across the enterprise who require image accuracy, adjustability and reliability. Both the HP Z27i and Z30i new displays claim to provide 100 per cent coverage of the Adobe sRGB color space—the standard color space for the web, and for the majority of engineering, creative and professional applications—commonly used in photography and digital press workflows. These displays also have IPS gen 2 panels with 178 degree viewing angle and up to 37 per cent greater power savings compared to HP’s first-gen IPS display tech, the company claimed. To free up valuable desk space, an HP Thin Client Mount Kit also is available for both the HP Z27i and Z30i, allowing users to securely mount an HP Thin Client or Ultra Slim desktop to the back of the display.